Designed for the African Violet enthusiast, this course covers everything from potting and feeding, to pests and propagation. You learn how African Violets are classified, and cover the exciting range of varieties available. Here's your chance to achieve outstanding results with African Violets: as an amateur, or professional. Annuals are a valuable horticultural crop grown commercially as cut flowers, as seedlings or as advanced pots of colour. With careful choice, versatile annuals can deliver year round colour in the home garden. They work to fill gaps between perennials, they can be used to disguise the messy foliage of bulbs as they seasonally die-off, and they can help to keep gardens or parks in the peak of perfection. This eight lesson course reveals the secrets of how to identify annual species, what to grow and when to grow each variety. It covers soil improvement, pest control, irrigation, propagation, greenhouse growing, hydroponics and much more. It is equally as useful to the home gardener and to the professional gardener as to those intending to grow annuals commercially. Amateur or commercial growers; nurserymen, collectors, plant breeders. 100 hour self paced learning program. An online or distance education course for the commercial grower, landscaper, or enthusiast. This course first instructs you andbout different types of Australian flora, plant identification, information sources, planting, feeding, soils, pests & diseases, watering, propagation and transplanting. This is a comprehensive course that aims to develop lots of pratical skills along with the theory. Are You Interested in Australian Native wildflowers and Plants? Study small Australian native plants and wildflowers online in a comprehensive and practical course that will etend your knowledge and fuel your passion for these fascinating plants. This course deals with both woody (hard wooded) and herbaceous (soft wooded), low growing Australian Native Plants, which bear showy flowers. 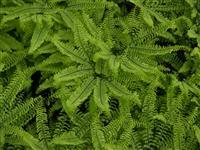 The focus is on small shrubs and ground covers. This course is the perfect introduction to growing bonsai from choosing plants and containers right through to all the techniques needed to create a range of bonsai styles. You don't need to have made bonsai before in order to study this course, you just need to be interested in this fascinating art form. Join the many who have learnt the ancient oriental art of bonsai through this practical and comprehensive course. Eight lessons cover the selection of plants suited to bonsai, understanding the history and classic shapes which form the basis of the art, techniques of planting, training, pruning, watering & feeding and ways of using bonsai both indoors and outdoors. You will create several bonsai of your own during the course and receive constructive criticism from your tutor as they help you develop your own personal bonsai style and techniques. Nine lessons cover a range of cultivated carnivorous plants, paying particular attention to the Pitcher Plants (Nepenthes) and Sundews (Drosera). Tree Knowledge is the cornerstone of working in arboriculture, tree surgery, land rehabilitation or forestry. There's more to Geranium and Pelargoniums than meets the eye! These wonderful plants have been seen on our window boxes for hundreds of years and are a big part of many garden lovers lives. Learn ways to maintain them to optimum performance. Learn how to avoid problems that can be easily cured. Learn how to take your own cuttings, grow them successfully and discover how many different types there are to choose from. In this course you will also learn this basis of all good horticulture with plant health, understanding soils, plant nutrition, cultural requirements and pest and diesase treatment. Time to get those green thumbs working! Beautiful camellias require little attention, once established, and yet there is so much to know about them. You learn about growing quality carnations (planting, watering, pest & disease control, fertilizing), different ways of growing them (e.g. as row crops in soil, in hydroponics, in a greenhouse); and harvesting, post-harvest treatments, and quality control. Become an expert on Grevilleas through this eight lesson course. It provides a thorough grounding in identifying, growing and using grevilleas. Grevilleas are a wide group of plants, all but seven species coming from Australia. They are widespread across Australia, occurring in both cool temperate, and hot tropical climates. There are around 250 species. About half of these are native to the south west corner of Australia. Learn How to Grow and Use Indoor Plants. Want to learn the tricks of how to successfully grow a beautiful yet challenging plant such as the Orchid? These unusual and stunning plants are incredibly rewarding to own. Get the broad picture of what orchids are all about and learn how to improve your results and grow flowers which will be the envy of all who see them. Become an expert in palms and cycads. Perennials come in all forms, from herbaceous plants that die down in the winter and re-emerge in spring (year after year), to plants that retain their soft-stemmed leafy growth year round. Although beautiful, many perennials are also tough and very much adapted to a variety of climates - ranging from very dry to wet. Some have colourful foliage as well as beautiful flowers, others add architectural interest - but all add excitement and diversity to the landscape or garden as they burst into flower each year. Discover what perennials are, which perennial plants are most popular today, their cultural requirements (ie. feeding, watering, soil requirements, pruning, pest control), and learn how to use them to create beautiful landscapes. A course equally valuable to landscapers, nurserymen, cut flower growers and garden enthusiasts. Learn where and how to grow one of the most stunning groups of plants in the world. With the right cultural techniques (e.g. proper drainage, soil treatments, irrigation methods, feeding, pruning, weed control), you can achieve top quality, large blooms in what might otherwise be considered poor horticultural conditions. A 600 hour certificate comprising studies on Australian Native Ferns, Australian Native Trees, Australian Natives and Bush tucker Plants. Specialise with your choice of one elective module from Tropical Plants, Palms and Cyads, or Interior Plants. Learn what to plant where - both indoors and outdoors. Train in greenhouse ornamentals. A detailed and varied course looking at a wide range of greenhouse ornamentals. Study by distance learning and start at any time to suit you. This course lays a foundation, sharpening your knowledge and skills for identifying plants; and then progresses to build the scope of plants you are able to identify. At the end of this course you will be able to look at plants with greater focus, naturally seeing the characteristics that differentiate a plant from others, and placing it into a group (family or genus) which exhibits those characteristics. In doing so, you will find it easier to identify plants, and work out their classification, even if you do not know precisely what they are. This is achieved by undertaking two core modules focusing on plant physiology and taxonomy as well plant identification. Four specialised plant electives are then studied that further build your knowledge of select plant groups. Do you work in the horticulture industry and would like to learn more about specific plant varieties? This 1000 hour Foundation Diploma allows you the flexibility to learn more about the plants that YOU are interested. Choose ten modules from a list of over 29. Learn more about the plants of your choice with support from our highly experienced and well qualified horticultural tutors. A must do course for anyone who loves plants and wants to know more. This course is definitely a must for the rose lover. This unique and comprehensive course is equally relevant to professional and amateur growers. The value of their blooms however extends beyond the ornamental garden; roses are grown for many reasons including: the cut flower trade, for perfume extraction, to harvest the hips and for rose oil. This course covers all these aspects and much more. Learn the history of the rose, the confusing rose classification system, how to identify the different species, their general cultural needs (soils, pests and disease management and pruning), how to use roses in garden design and how to produce a commercial rose crop. 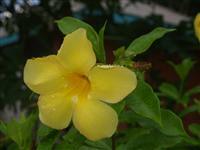 Learn how to grow tropical plants in or outside the tropics. This course provides valuable instruction for both growing plants in warm places or in protected places such as greenhouses. cultural practices: understanding soils, naming a soil, propagation, watering, feeding, pruning etc. Growing tropical plants outside the tropics and indoors - in different climates and conditions. Discover: how to landscape with tropical plants and how to use colour and texture; how to select appropriate plants; how to plant a courtyard and prepare sketch plans.